Wood Apple, Golden Apple, Stone Apple or Bael are the names of a hard, green, rough peel fruit. 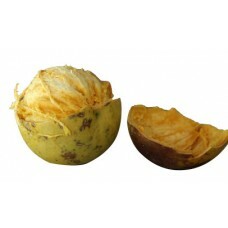 The outer cover of the fruit turns yellowish when ripe, it has juicy pulp which is edible. Its leaves, root, branches and fruit all are rich in medicinal values. Word Apple are high in nutrients, vitamins and organic compounds including their tannins, calcium, phosphorus, fiber and iron.